Cooked in the press @60psi/60 Celsius for 24hrs. 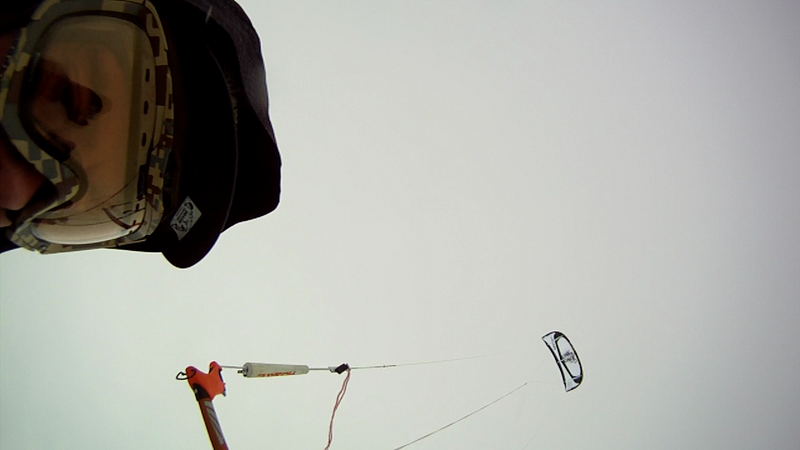 Flatline rocker and kite optimal sidecut radius 13m. 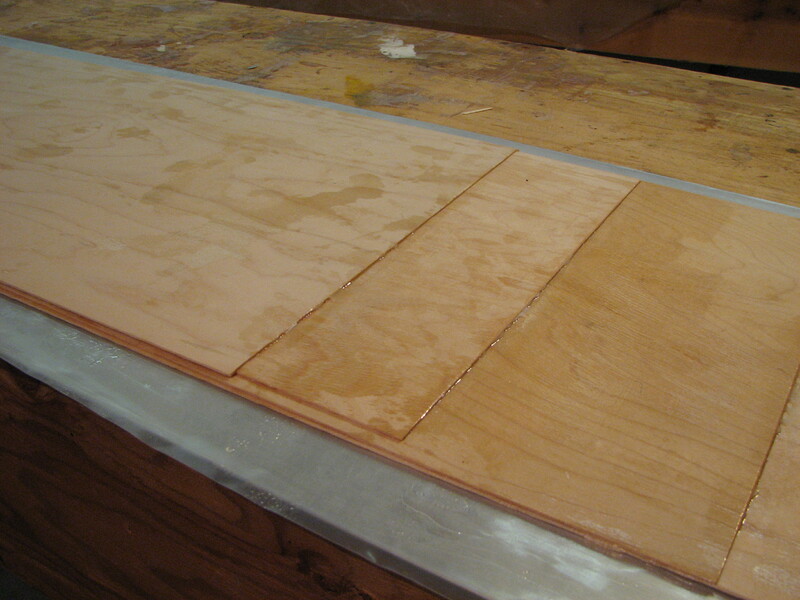 The horizontal rock maple veneer core build looks good so far. Now for some snow to see how it holds up. 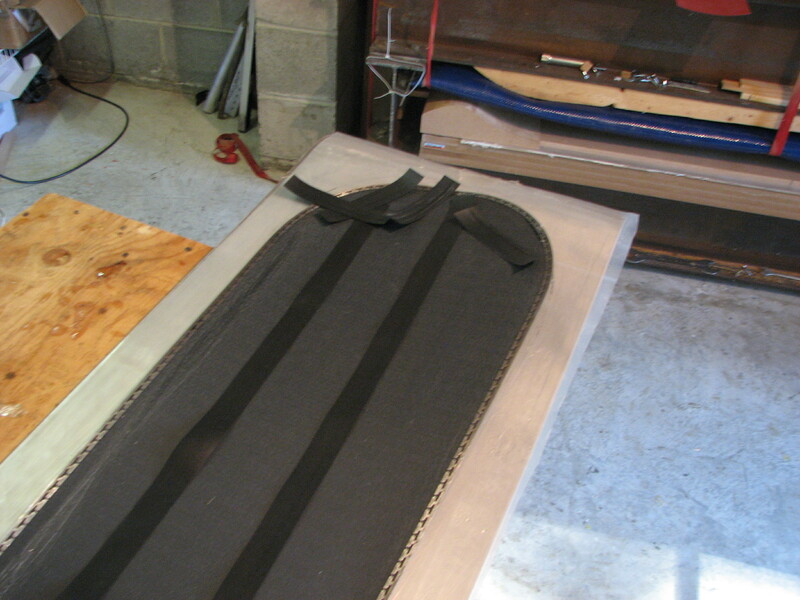 Rubber strips go on top of the steel edge to improve the resistance to delamination over temperature cycles. They also decouple the edge from the core somewhat decreasing vibration. The big air bag press is in the background. New skateboard sandwich maple core. Steel edges being applied to graphite ptex base. 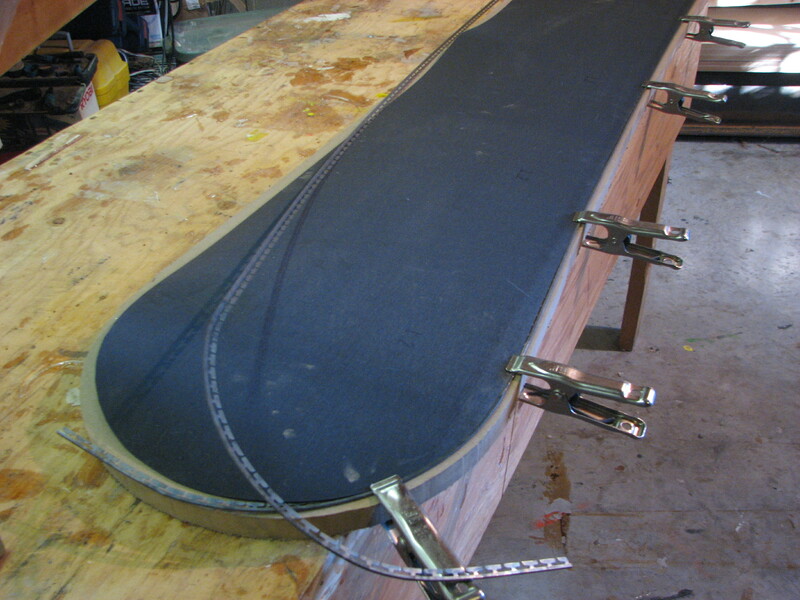 i am building a snowboard but i cant find where to buy the steel edges. where can i get them? 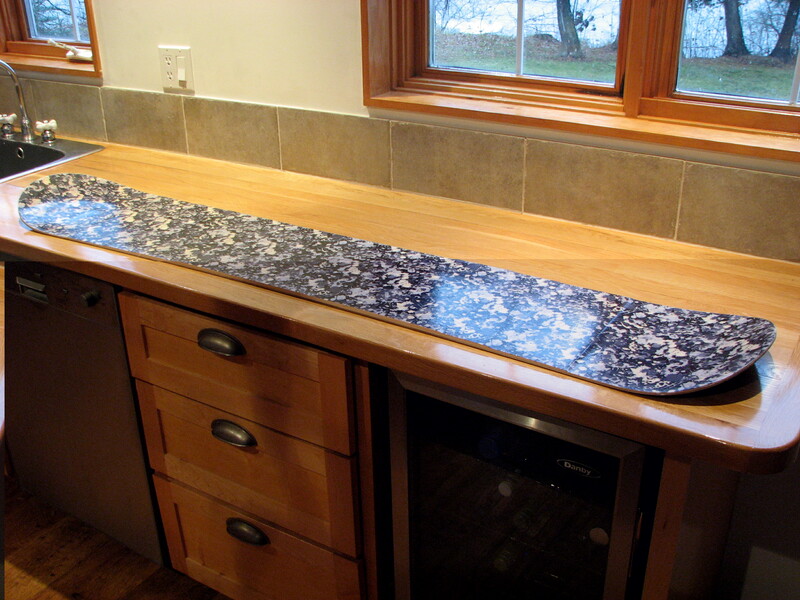 I get them from snowboardmaterials.com. They also have inserts and the vds rubber which is hard to find anywhere else. What is the material that you used for the airbag? Ive been looking for some large/thick rubber tubing, but no luck so far. Google “lay flat hose”. I got some througt work and yes it is hard to find. For snowbaords most people just use firehose and gang 2 or 3 together to get the width.